In the video on this page, expert and online Osteopath Tim Judd explains the triggers to neck problems, how the neck functions and the reasons for discomfort and pain in men and women. Now that you understand what causes neck problems and how to prevent the most common neck problems, it is time for targeted exercise to improve the range of motion. Click here for a sample of just one of Neck Stretches available to you. For immediate neck pain relief for tension, or neck stiffness and fatigue, go here for Essential Neck Exercises that can relieve stiffness and discomfort, or add to cart now. Learn about neck pain and neck joint pain relief through medical anatomy and 3D animation. What is the cause of chronic neck problems? What are the most common neck conditions? How to heal neck pain with an osteopathic stretch exercise for better health and well being. 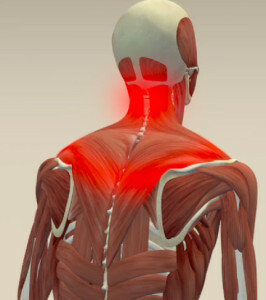 How is neck pain, shoulder pain and upper back pain related? Is lower back pain related? How does a slouched posture affect your neck? Everyone has had neck pain or knows someone who has a stiff or sore neck. There are many reasons for ongoing neck problems ranging from inherited tendencies, poor posture, occupational positions, sporting activities or stress. Worry over a brief or extended period of time will cause muscle tension and pain in the neck. The pain levels can range from irritation to severe. This is because there are more neurological connections between the emotional centres of the brain and the muscles of the neck, jaw and shoulders than any other muscles in the body. Many of the muscles in the neck start at or between the shoulders, so any tension in the shoulders or upper back will have a direct effect on the neck. Commonly, this is because our posture is awry. If our shoulders and or our upper back are dragging forward this puts a lot of strain in the muscles of the upper back and shoulders. This tension travels up into the neck. When slouching forward in poor posture, your head tilts back causing compression of the vertebrae and tightening of the neck muscles. These tight muscles will drag on the base of the skull commonly causing headaches. 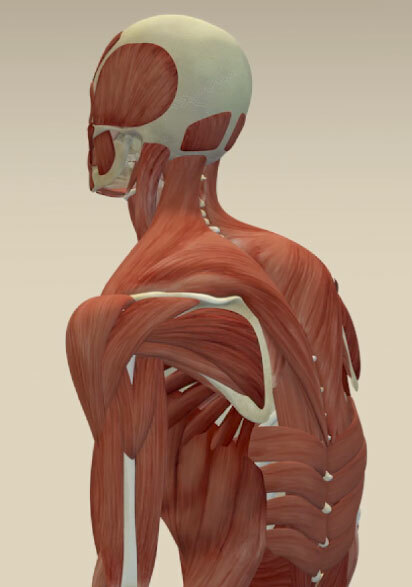 If the upper back and shoulder muscles are not strong enough and if there is not enough muscle tone, the muscles will go into strain and then into pain. Strengthening the upper back and shoulder muscles will strengthen the neck. Pregnancy, age, sporting wear and tear, posture occupational positions or recreational activities can contribute to strain or damage to this vulnerable zone of the body. If children have neck problems or headaches have them treated by an experienced cranial osteopath when they are newborn and monitor them throughout childhood. For more about infants and young people click here. and careful with these neck exercises and if you experience any dizziness or become light-headed then stop immediately. If you have an ongoing neck problem consult an osteopath or doctor for a proper diagnosis. Then you can confidently carry on with the full Stretch for Life home program. To read more from Tim’s Blog click here. To check out Tim’s Auckland practice click here. For information about conditions that affect the Neck click here.